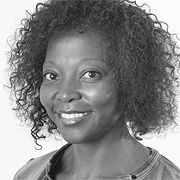 Neo started her career in advertising as a junior planner at Ogilvy & Mather Johannesburg in 1997. She then moved to Penta Publications, where she was responsible for managing and building the company’s leading brand publications. Back in advertising, she joined Inroads for three years, before reuniting with O&M Johannesburg in 2003. In 2014, Neo became Group Strategy Director, responsible for further developing and sustaining a culture of thought leadership among the community of O&M SA planners. Neo holds a Bachelor degree in Education from the University of Bophuthatswana and a Post Graduate Diploma in Business Strategy from the University of South Africa. She also completed a Post-graduate Diploma in Advertising: Strategy and Account Planning, and Media Planning at the Association of Advertising Agencies (AAA), as well as an Ogilvy/Cambridge International Diploma in Management.